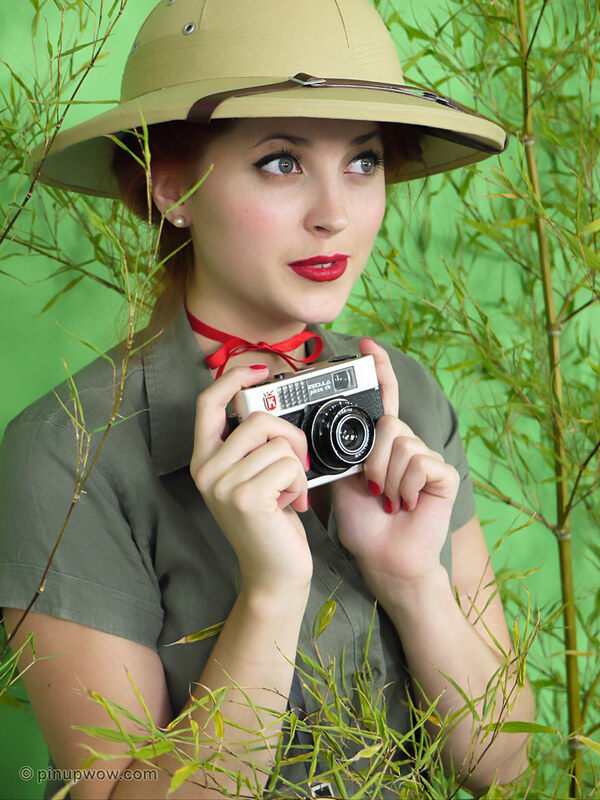 Delectable Lucy V is deep in the jungle hoping to catch exotic birds with her camera. But jungle’s can be hot steamy places. Probably a good idea to cool down Lucy. No one’s looking!